Dubbed ‘God´ by some, just plain good by others, Eric Clapton´s electric blues pedigree is beyond doubt. Slowhand's guitar tone on Cream´s 1966 hit I Feel Free was voted in at number 10 in Guitarist magazine´s rundown of the 50 greatest guitar tones of all time. Here, Guitar Techniques Editor Neville Martin shows you how to set up your gear to get those classic Clapton guitar sounds, including the legendary Bluesbreakers period and the ‘woman tone´. 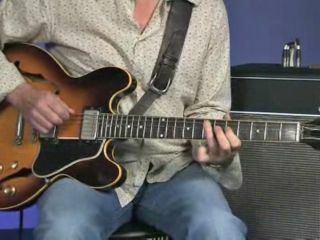 If you prefer Clapton's acoustic output, you may want to check out this tutorial on playing acoustic like Eric Clapton.